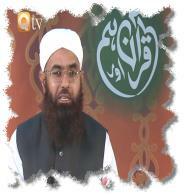 QTV - Quran Aur Hum Programs Recording has been added now. Currently 5 Programs which has been delivered between 16/09/2007 and 16/10/2007 are available to watch and download. Click here for Video Section or Click here for only Audio Section. More recordings will be updating on regularly basis. Eighteen (18) Dars-e-Quran by Hazrat Allama Mufti Mohammad Abbas Razavi (Damat Baraktahum ul Aaliya) have been added in Dars-e-Quran Section. Two (2) Speeches has been added on the occasion of Yom-e-Raza in Speeches Section. December 27, 2006 !! Hajj Special Update !! "Wahabio Jawab Do" Poster has been added. Twelve (12) Questions asked by Hazrat Allama Qibla Mufti Mohammad Abbas Razavi (Damat Barakatahum ul Aaliya) to the Wahabis. Download it now! ( PDF Version ) - ( JPEG Version ). 15 Dars-e-Quran by "Hazrat Allama Qibla Mufti Mohammad Abbas Razavi" has been updated in the Dars-e-Quran Section. www.RazaEMustafa.net web site has been updated with the new Layout. Speeces, Dars-e-Quran & Question/Answers titles has been updated in Urdu Language also.